The Buyer Final Inspection is a very important item that many buyers overlook. Most times the inspection is referred to as a buyer final walk-through or closing inspection. Whatever you choose to call it, it should never be overlooked and always be done to ensure everything is in the same condition as it was when the buyer originally saw the home and made their offer. Many times the final inspection of the buyer is used to make sure repairs are completed to their satisfaction, always remember to take your time and do a thorough inspection. While emotions are high during the remaining days of closing and the buyers obviously are excited to close on their new home it’s important to not overlook anything. To keep you on track during this time, we’ve put together some tips for an effective closing inspection. Quick Tip #1: During your buyer final inspection you can use a cell phone and charger to test power outlets. 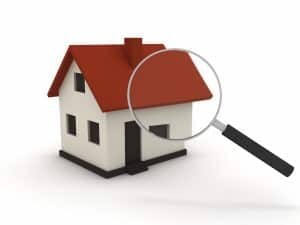 Many times during a buyer’s final inspection, they’ll discover items not originally visible in their initial inspection. Often this happens when a property is occupied during the original showing then later vacant in preparation for a buyer to close. Buyers waiting till the last-minute to do their final walk-through will run the risk of items showing up and then not having any time to correct the issue before the close of escrow date. Another option would be to extend closing to allow more time to correct the issue but for this to happen the lender (if one is involved in the deal) will have to make sure an alternative closing date will be allowed. Unfortunately sellers like to leave things behind, usually cleaning supplies, full trash cans, old paint, etc. It might be done with the best intentions in mind but the truth is a buyer does have the option not to close if the property contains these “Treasure” Items. In a perfect world a seller would leave the property empty, carpets cleaned and property in a broom swept, recently cleaned condition. Some buyers will close with these items present in the property because they’re anxious to close but the truth is, if for instance old paint is left behind these items now become the buyers responsibility and paint is actually a toxic item that requires special disposal. Quick Tip #2: Using a marble will quickly tell you if a surface is level or not. This comes in handy on sloping floors. Buyers should be prepared mentally for a vacant home. You might not think it’s anything big now but imagine back to when you saw the house originally with all that beautiful furniture and now fast forward to closing an empty home. The home will be the same but the view of the home will be VERY different. Homes with furniture, fixtures and personal items give a warm “home” feeling while an empty property will most likely feel sterile. Avoid the sterile feeling as it’s emotionally charged, complete the closing inspection and prepare for the keys to your new home. Buying a home is often compared to as an emotional roller coaster ride with frequent ups and downs, if you’re mentally prepared for such a ride going into the process then you’re already better off than most. For more information on a buyer final inspection, please feel free to contact us or leave a comment below. We’d appreciate the opportunity to assist you. Good luck in your home buying endeavor!